Charlotte was born April 21, 1826 the third of six children and the eldest of the trio of Bronte sister authors. Her works include the novels Villette, Shirley, and one of my all time favorites, Jane Eyre in addition to a collection of short works and poetry. At the time I’m sure that Bronte did not think that 200 years after her birth we’d still be reading her work, but with lines like this who could resist. I’m sure many of us have read her classic Jane Eyre, the story of a governess who overcomes loneliness and, from a modern perspective, child abuse to gain an education and a respectable position without losing her true self. Eventually our heroin falls in love with her employer, a man with quite a secret hidden in the closet. Whether you are on team Mr. Rochester or not (and I so am, faults and all) you can’t help but be sucked into Jane’s story and want her to find some happiness. This ability to captivate her audience is what’s helped Charlotte Bronte’s works to remain popular after all this time. The most recent evidence of this is the collection of Bronte and Jane Eyre inspired novels that have recently hit the market. 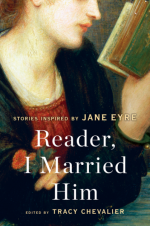 Reader I Married Him is a collection of original works inspired by one of Bronte’s most famous lines and features short stories from a variety of authors including Tracy Chevalier, Emma Donoghue, and Lionel Shriver to name a few. 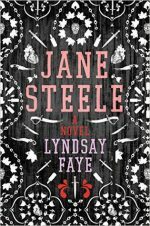 Jane Steele by Lyndsay Faye is a reimagining of Jane Eyre with a horror twist. In this version Jane is still the governess who falls in love with a man with a past, but she’s also a murderess. Bronte purists may not love this one, but fans of Victorian novels with a bloody twist should enjoy it. 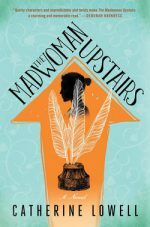 The Madwoman Upstairs by Catherine Lowell is the modern day story of an Oxford student, Samantha Whipple, who just happens to be the last living descendant of the of the Bronte family. This is the perfect read for people who like books about books. Adaptations and inspired-bys not your cup of tea? Well there’s something new for the classic Bronte fan too. 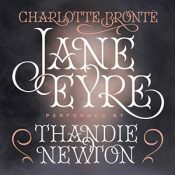 Thandie Newton is the latest narrator to take on the reading of Jane Eyre and its simply wonderful. The audiobook is available through Audible now and is part of the Whispersnyc voice program which gives you a discount if you’ve already bought the Kindle version of the book. Hint: buy the free version on Amazon and you might get a discount on the book. I’m showing I can get the audible for only $1.99 and I have this free version of the book. Read one of her novels, listen to an audiobook, watch a movie, or explore an author inspired by her works. However you choose to celebrate Charlotte Bronte’s birthday, you’re in for a great story. Thank you so much for posting – I really enjoyed reading it! I still haven’t got round to reading Jane Eyre yet – I know I should, it’s my Mum’s favourite book too, but things keep getting in the way. This post has inspired me to sit down and finally read it! I’m just on chapter 4 at the minute so it’s early days! I write book reviews on my blog so it may well pop up there at some point!